The schedule for the second round matchup in the NHL playoffs between the Washington Capitals and the Pittsburgh Penguins has been announced. 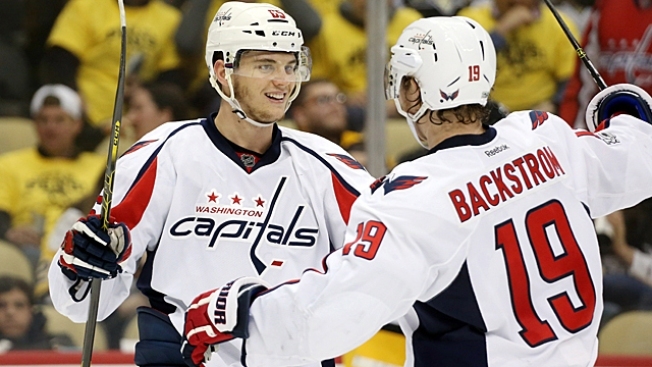 The Capitals will host the first two games on Thursday, April 26 and Sunday, April 29. Thursday's game is scheduled to start at 7 p.m., and Sunday's is set to start at 3 p.m. The series moves to the Steel City for the next two games. Game 3 will be held Tuesday, May 1 and Game 4 is Thursday, May 3. Those games also start at 7:30 p.m. and 7 p.m., respectively. If necessary, Game 5 will return to Washington on Saturday, May 5. Game 6 would be in Pittsburgh on Monday, May 7, and Game 7 returns to D.C. on Wednesday, May 9. The start times of those games have not been announced.